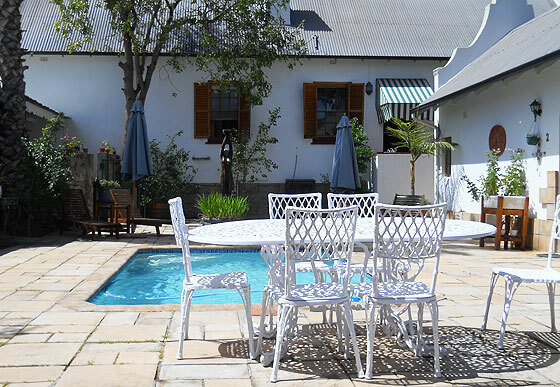 Enjoy the mountains and beautiful vistas that Oudtshoorn has to offer or spend the afternoon lazing around the pool while enjoying the beautiful gardens. Once you've worked up an apetite you can take a leisurely stroll to the very popular Bello Cibo restaurant. 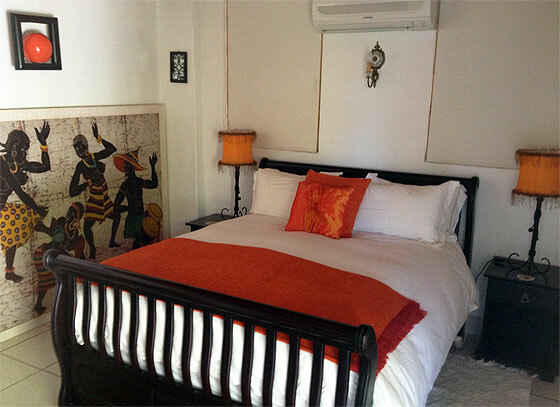 The air-conditioned cottages are situated in beautiful gardens and adjacent to the pool. 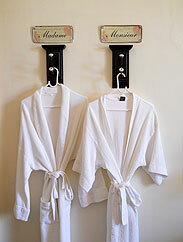 Bathrooms have both bath and shower facilities. To make your visit even more memorable we highly recommend a visit to Buffelsdrift Game Reserve for game viewing or the sublimely beautiful Surval Boutique Olive Farm to soak up incredible views of the mountains. Entrance is free and both are just a short drive from De Avond Rust. Oudtshoorn and surrounding areas offer a variety of places to eat and drink with international quality and standards at Klein Karoo prices! Sitting at Casa Del Sole sipping the tastiest cappuccino and eating a huge slice home-baked cake while reading the daily newspapers and watching the world go by, you could be forgiven for thinking you were anywhere in the world. 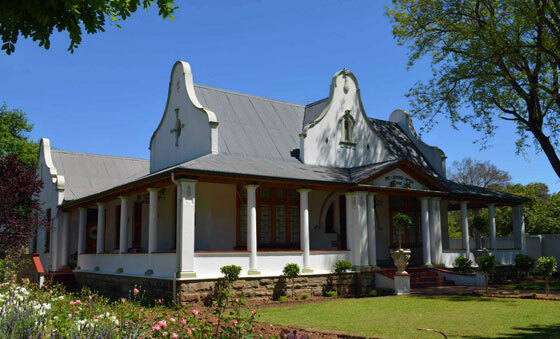 Take a short and scenic drive to De Rust and enjoy the uniquely rustic setting and home-cooked meals at the Trading Post or travel in the opposite direction to Calitzdorp and enjoy food like granny used to cook at Rose of Karoo. Afterwards you can pop over to Boplaas for wine and port tasting. The list of where to dine and what to do is endless and you will discover a world of delights and tasty treats in and around Oudtshoorn. 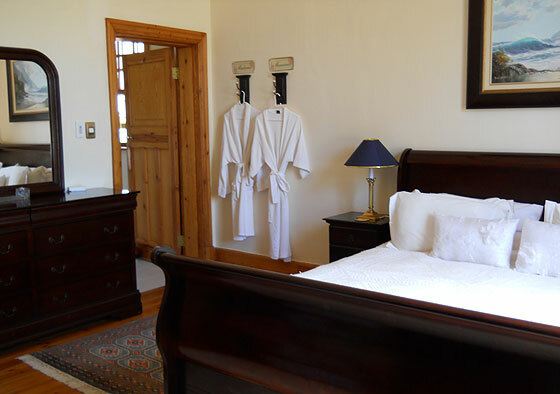 Beautiful air-conditioned pool cottages with queen size beds, tea & coffee station, mini-bar fridge, seperate bath and shower, bathrobes provided. 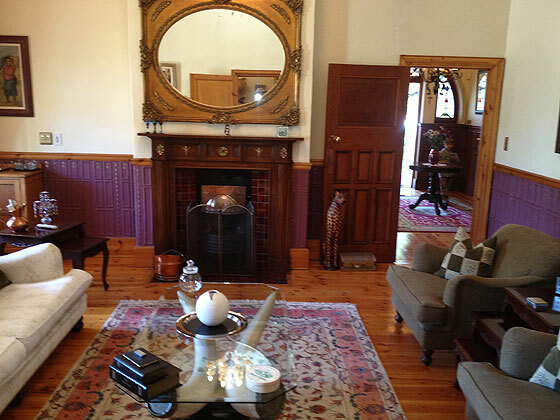 These large luxurious suites have extra length four-poster beds. 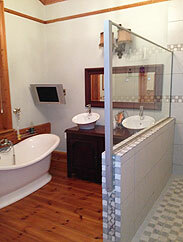 The bathroom has a flat screen TV, double basins, huge walk-in rain shower and seperate bath. 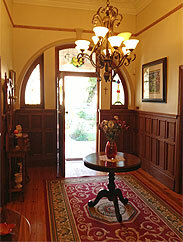 There is a seperate entrance to the King suite with patio table and recliners. The ostrich egg is the equivalent of approximately 24 hen's eggs.